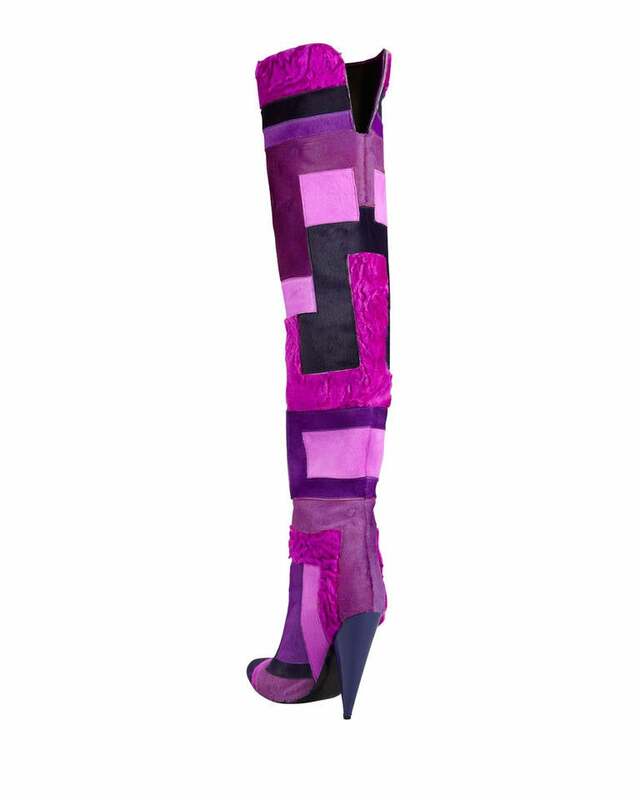 Over the weekend new momma diva, rapper Lil Kim hit the stage to performed at the 22nd annual Summer Jam concert hostedby NYC Hot 97′s 22nd at the New Jersey‘s MetLife Stadium, where she snapped in some fashionable we are oh so in love with Tom Ford Geometric Patchwork Fur Over-The-Knee hot pink Boots. Take a look at the Divaish shoes inside. *Diva Snaps* to Kim for rocking those boots...POP THOSE FINGERS!